Year 4 had a strange morning! We had a very exciting morning in year 4 today. 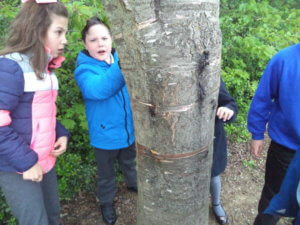 Mrs Connors had heard very strange rumbling noises during the night. When she investigated in the morning, she discovered that her shed had scorch marks on it and there was a small pile of apple cores and a blue feather. On investigation, it seemed that this had been happening all over Northampton. 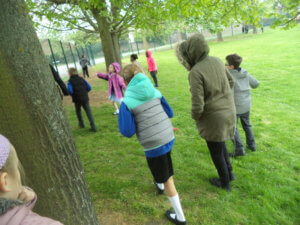 We decided that we needed to search the school grounds to see if our school had been affected. 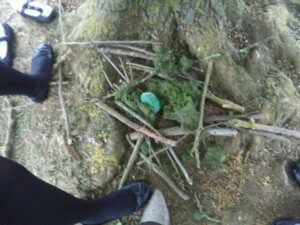 We were amazed at what we found!! 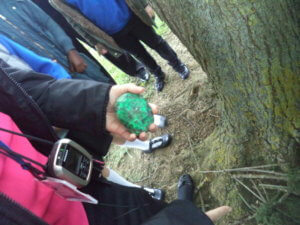 Lots of colourful feathers, shiny gold liquid, scorch marks and scratches on the trees were discovered. What a mystery!